Between steppe and mountain we have dehesa, an idyllic yet well-managed landscape due to the centuries old mode of farming and land husbandry amongst the Holm and Cork Oak. 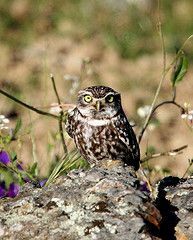 Dehesa provides habitat for Black-shouldered Kites, Little Owls, Eagle Owls and passerines of all types. 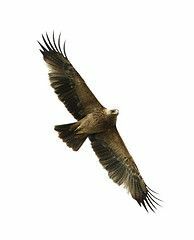 The Alcudia Valley, a mix of Dehesa and Steppe was recently declared a Natural Park and is a place where you will find your neck craning skyward to watch the many, many vultures and other birds of prey fly above you. Next to the Tablas of Daimiel wetlands is an area of Dehesa where thousands of wintering cranes can be seen. 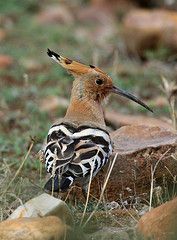 These are birding opportunities not to be missed. 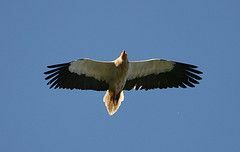 Griffon, Egyptian and Black Vulture; Spanish Imperial, Golden, Booted, Short-toed and Bonelli’s Eagle; Little, Scops and Eagle Owl; Red, Black and Black-shouldered Kite; Montagu´s and Marsh Harrier; Buzzard; Sparrowhawk; Common and Lesser Kestrel; Merlin; White and Black Stork; Common Crane; Eurasian Hoopoe; Northern, Black and Black-eared Wheatear; Greater Spotted Cuckoo; European Bee-eater; European Roller; Thekla and Crested Lark; Black and Common Redstart; Blue Rock-thrush; Woodlark; Bonnellis, Sardinian, Dartford, Garden and Willow Warbler; Azure-winged Magpie; Woodchat and Southern Grey Shrike.